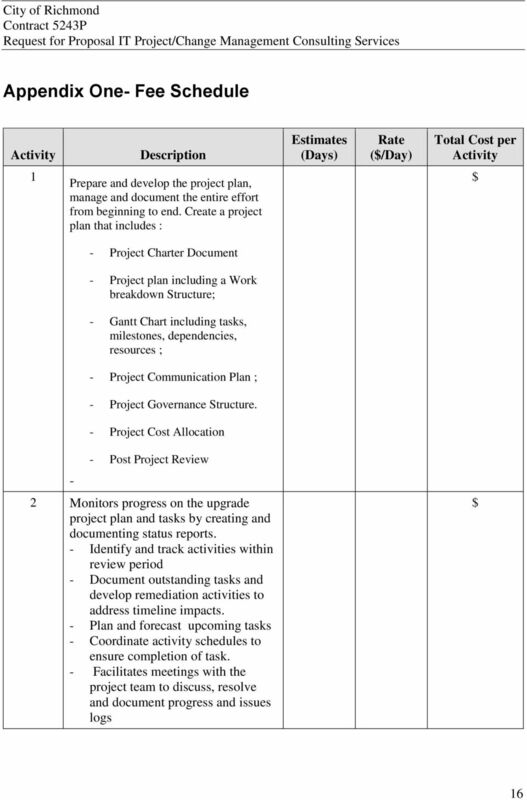 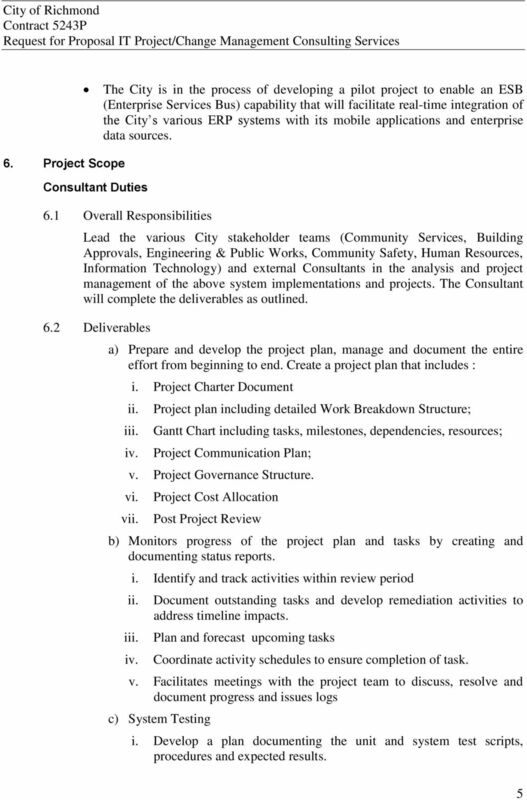 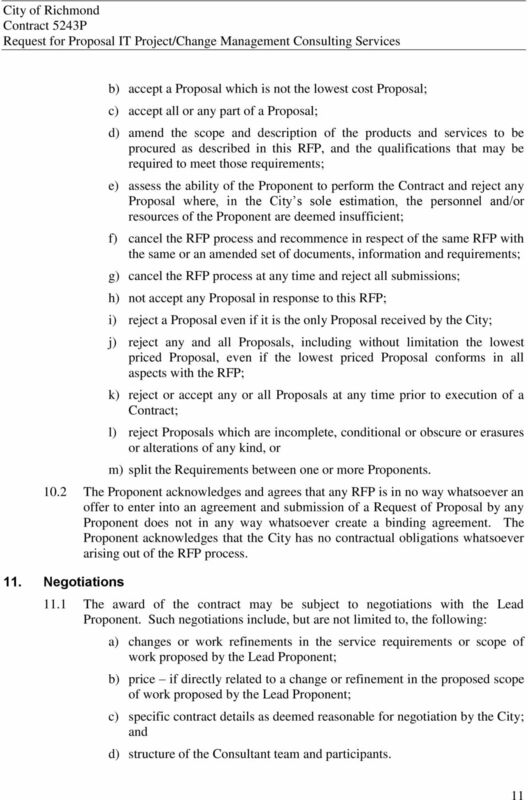 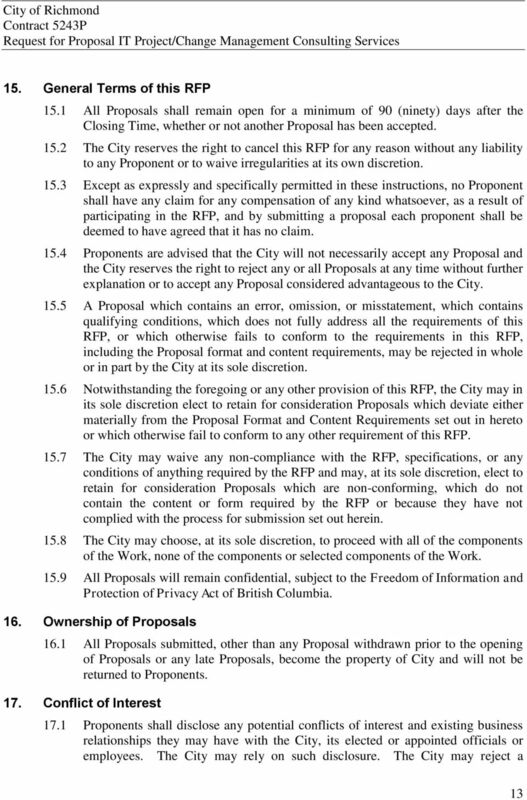 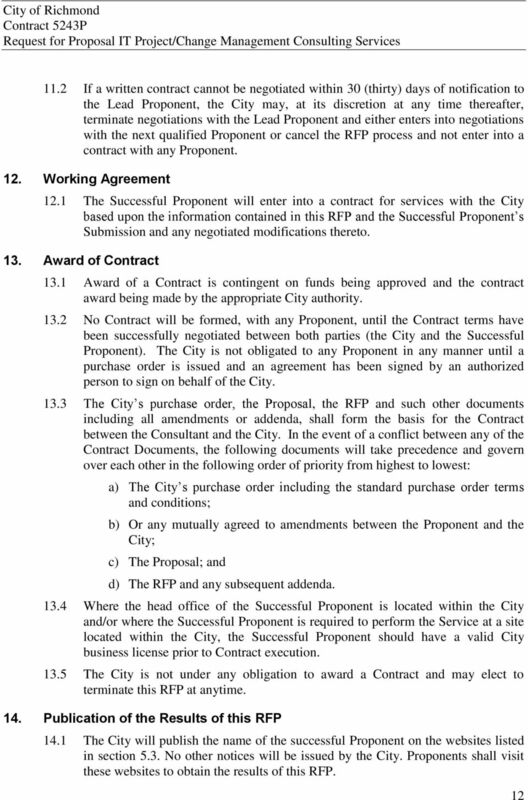 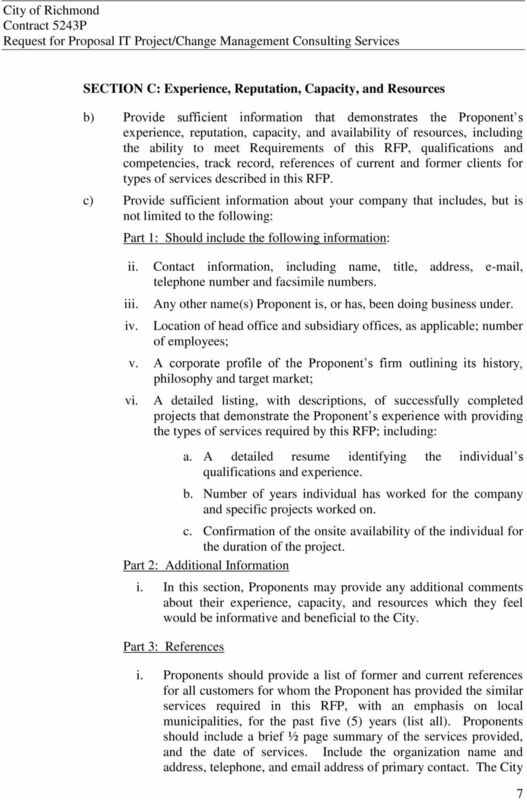 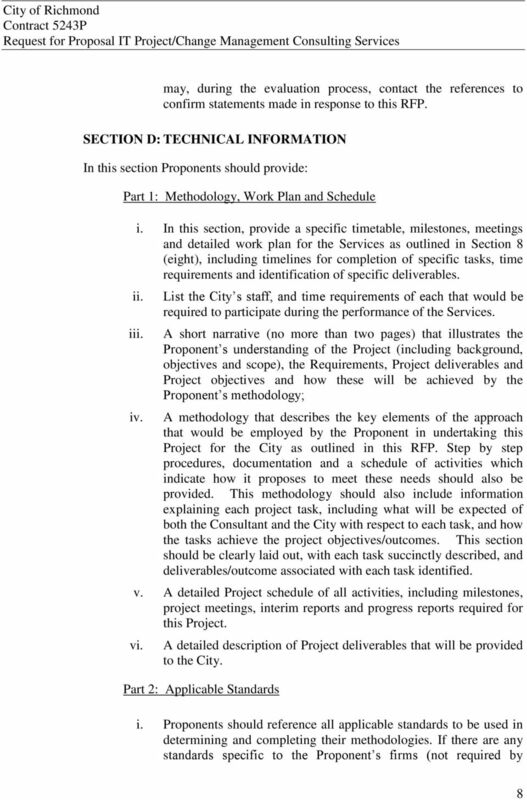 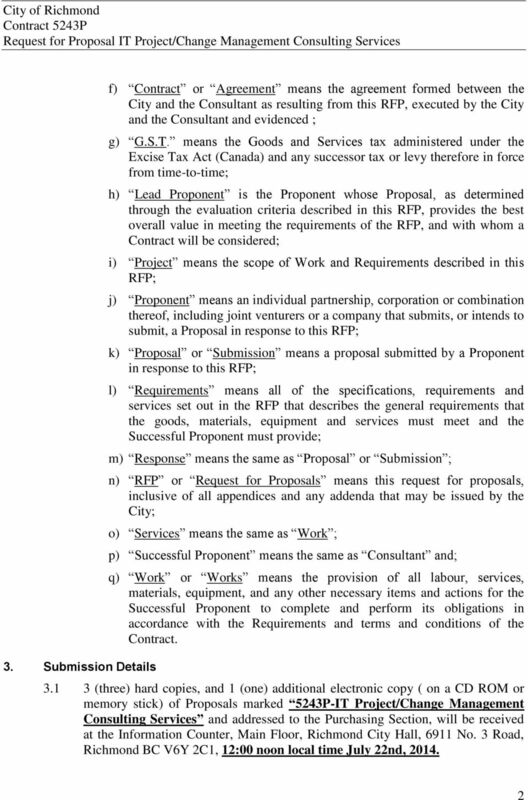 Download "Request for Proposal. 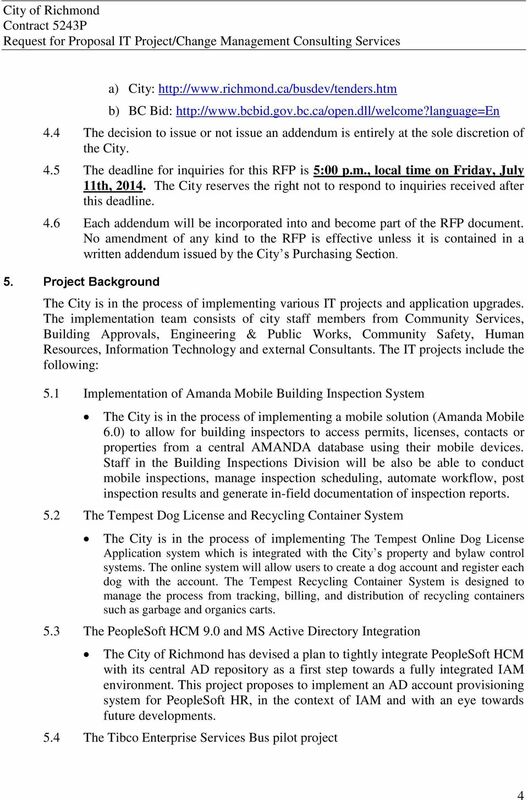 City of Richmond Business & Financial Services Department. 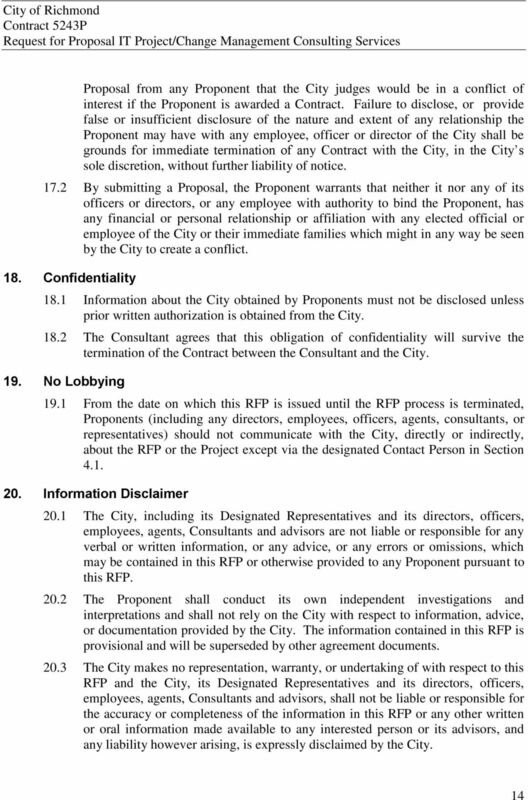 Contract 5243P. 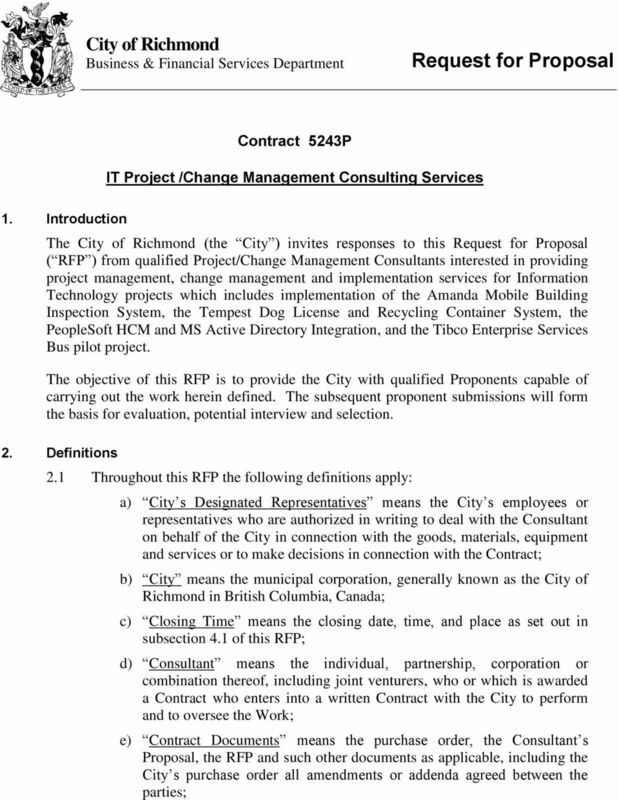 IT Project /Change Management Consulting Services"
5126P - Change Management Consulting Services - PeopleSoft Financials and Supply Chain Management Release 9.2 Upgrade 1. 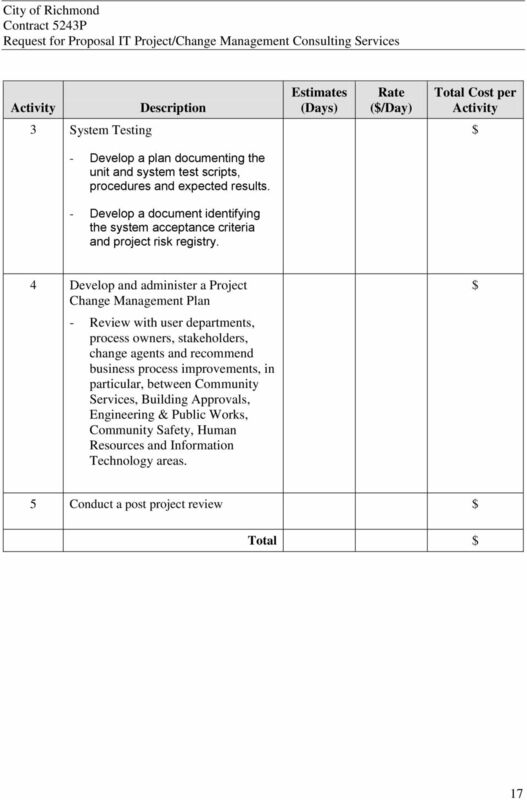 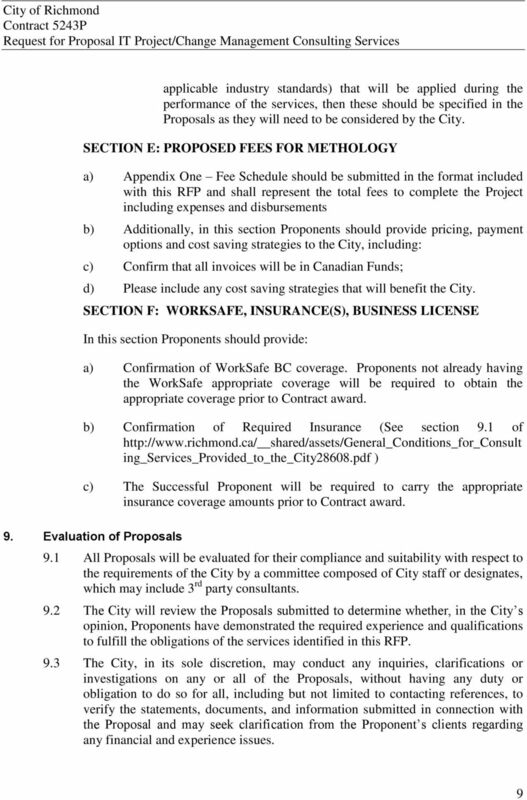 City of Richmond Business & Financial Services Department Request for Proposal Consulting Services for the Development of an Emergency & Business Continuity Department Plan for Richmond Fire-Rescue 1. 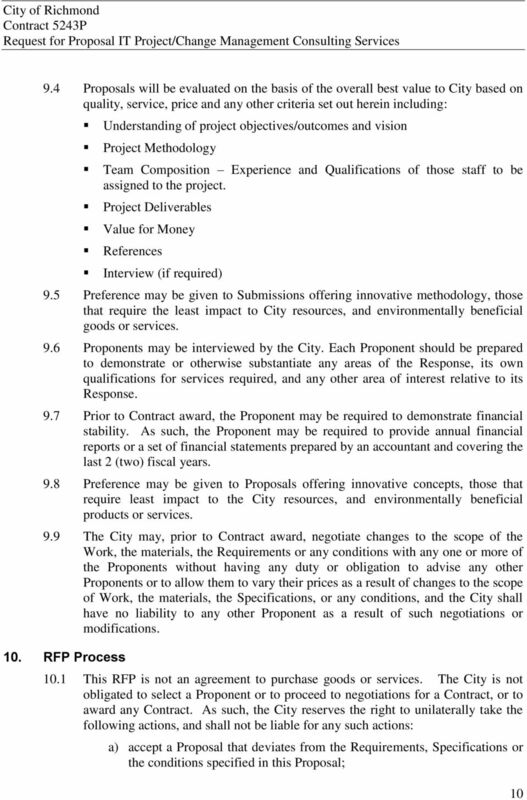 REQUEST FOR PROPOSAL RFP #12-004. 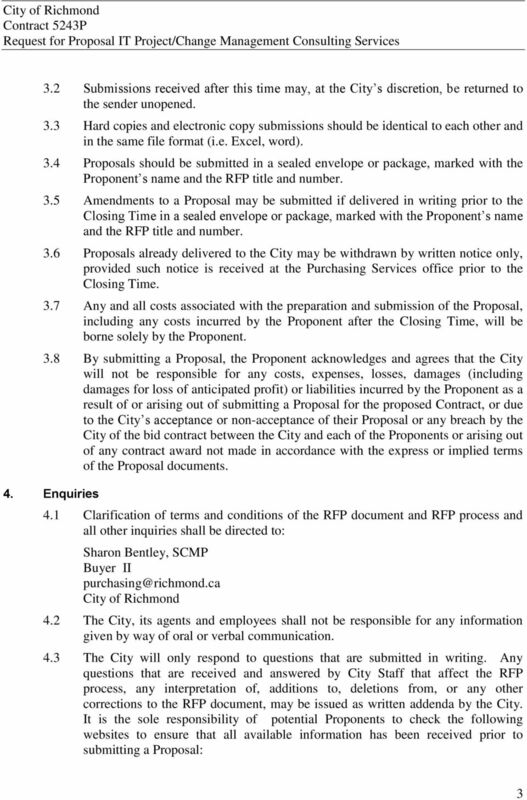 For the Provision of After Hours Answering Services. 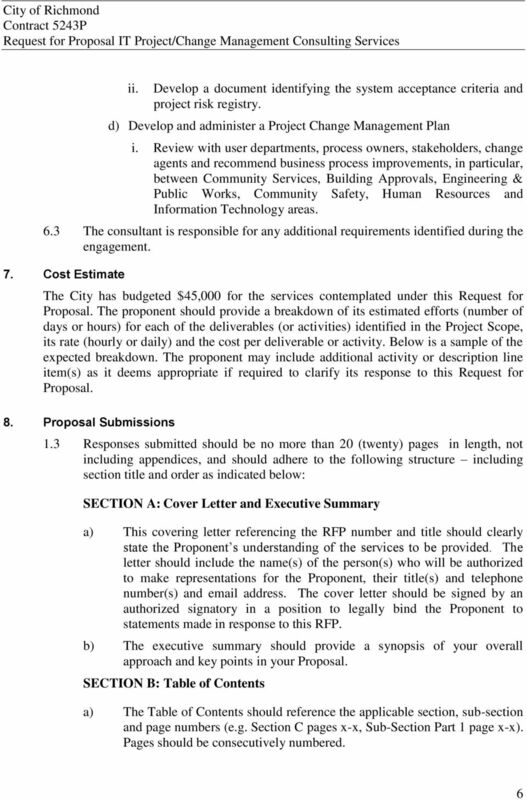 Proposal Due Date/Time: October 19, 2012 @ 4:00 p.m.
REQUEST FOR PROPOSALS FOR BENEFITS INSURANCE BROKERAGE SERVICES FOR STOREY COUNTY, NEVADA Posted December 26, 2013 through January 13, 2014 (Proposals due 4:00 p.m. on January 13, 2014) Prepared By: P.O.